Peters Safety Patrol is open to fifth grade students who demonstrate positive character traits both in and out of the classroom. 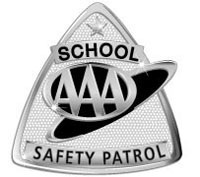 Safety Patrol positions are selected each nine weeks by the teacher sponsors. To apply for a position, please contact the appropriate sponsor below. Dismissal Time: Approximately 2:50 p.m. daily. Rainy days may be later. Students are expected to be at their assigned posts by the times listed above and to dress appropriately for weather conditions. Please contact Mr. Bowen or Mrs. Morris if you are unable to perform your Safety Patrol duties.